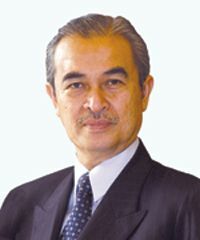 The Honorable Abdullah Ahmad Badawi, prime minister of the south eastern Asian nation of Malaysia is set to arrive in St Vincent tomorrow, Saturday, April 29, for a four day official state visit. The visiting prime Minister will also address parliament at 9:00 on Tuesday morning, followed by a walk-through of the Central Market and a press conference at Cabinet Room. Prime Minister Badawi is scheduled to leave the state at 2:00 p.m. When he was elected to office October 31 2003, Badawi became the 5th prime minister of this multi-racial, multi-linguistic, multi-religious and multi-cultural country. Boasting a unique political stability, Malaysia has had the same government in power in its 48 years since independence from Britain in 1958. Islam is the State religion but freedom of worship is accorded to all other creeds. Mosques, temples and churches exist side by side. They have more public holidays and festivals than anywhere else in the world.